Music Transcription Assistant in learning and transcribing music recordings. 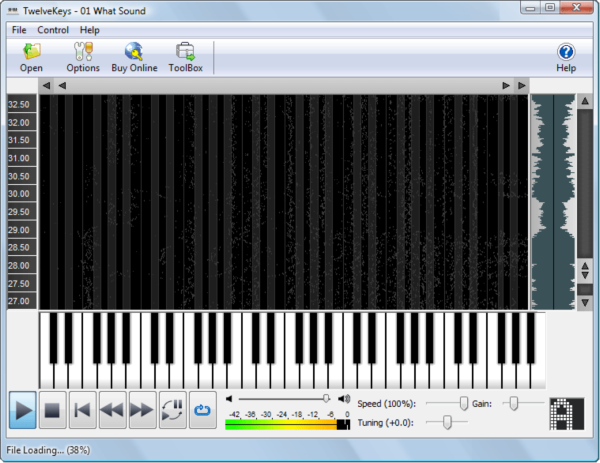 TwelveKeys Music Transcription Assistant is an aid to assist musicians in learning and transcribing music recordings. It is able to accurately detect notes in both simple single instrument recordings as well as complex polyphonic compositions.